This photo highlights terminal inflorescences that are uncommon in this variety. This is a young plant about 6 months old from cutting. 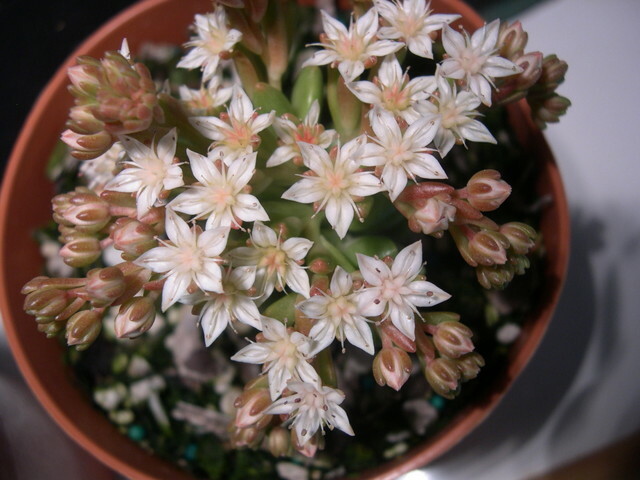 It bloomed from May 1st to June 15 in the greenhouse. This plant is in a 4 inch diameter pot.